Netflix’s CEO Reed Hastings has predicted the company will grow to approximately US$15 billion in revenue this year. At a media event earlier this week, Hastings said that while Netflix is mainly a streaming company, its DVD-by-mail subscription service, DVD Netflix, still has about 3.3 million customers as of 2017, USA Today reported. Hastings sees DVD Netflix lasting for “at least another five years” and as such, does not plan to do away with the service, since its DVD audience is mainly comprised of serious film buffs. He added that he was not concerned about the competition in the market, adding that the online video streaming market is “competitive”, USA Today reported. As such, Hastings said the company has to remain focused and tune the competition out. Netflix will not succeed if it ends up getting distracted and tries to copy its competitors, Hastings said. Marketing has reached out to Netflix for more details. Hasting’s prediction comes soon after Netflix inked a multi-year deal with Emmy, Golden Globe and Peabody Award-winning producer, director and writer Ryan Murphy. The deal will allow Murphy to exclusively produce new series and films for the company, starting 1 July this year. The move came not too long after American TV producer Shonda Rhymes parted ways with ABC Studios after 15 years, to collaborate with Netflix. 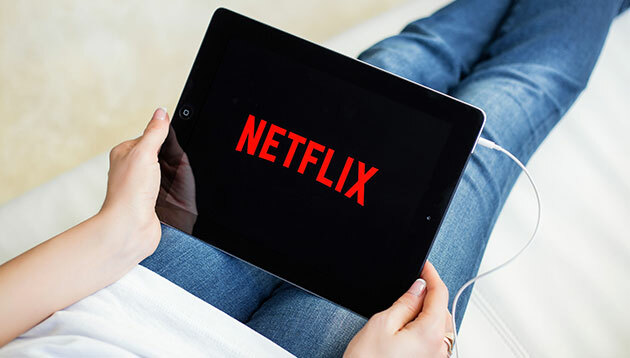 Marketing and content creation are also two of Netflix’s main concerns, with the company planning to inject more dollars into those areas over the next few years. Earlier this year, Netflix said it will increase marketing spend to US$2 billion for this year, up from around US$1.3 billion before. Last October, it announced it will spend approximately US$7 billion and US$8 billion on content in 2018. This came after Netflix said it will spend up to US$750 million on content and global expansion, in a bid to increase its investment in content, especially in its original series such as 13 Reasons Why, Stranger Things and The Crown.